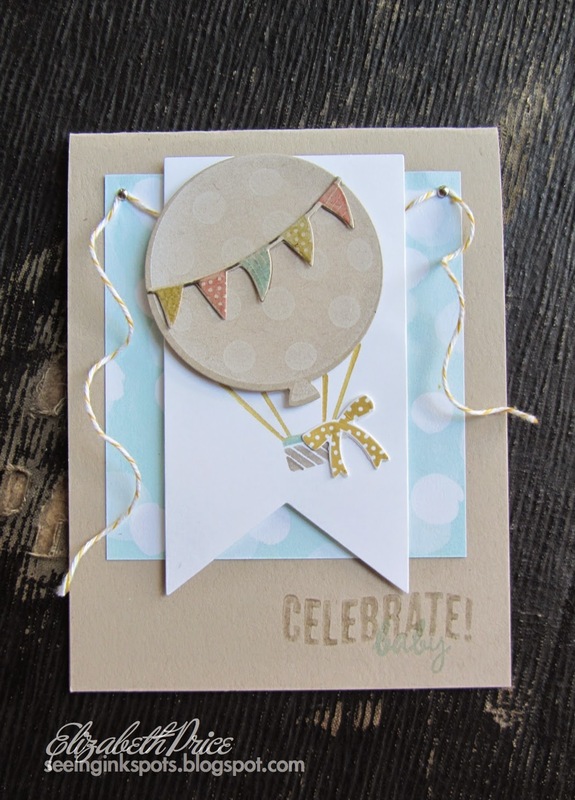 The Celebrate Today stamp set and Balloon Framelits are super amazing. 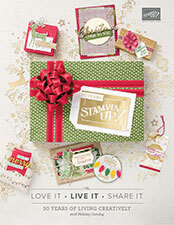 Every stamper, I mean every one of us, needs this bundle. It's perfect for so SO many occasions. Not to mention that it's cute and stylish. For the hot air balloon I inked up with Whisper White, stamped off, and then inked up again in a Rock and Roll Around the edges manner. 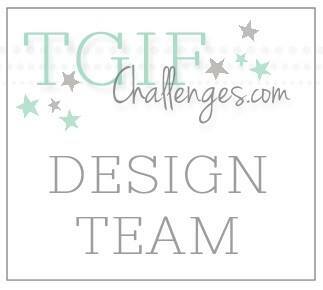 This created highlights and contours and a dimensional appearance. 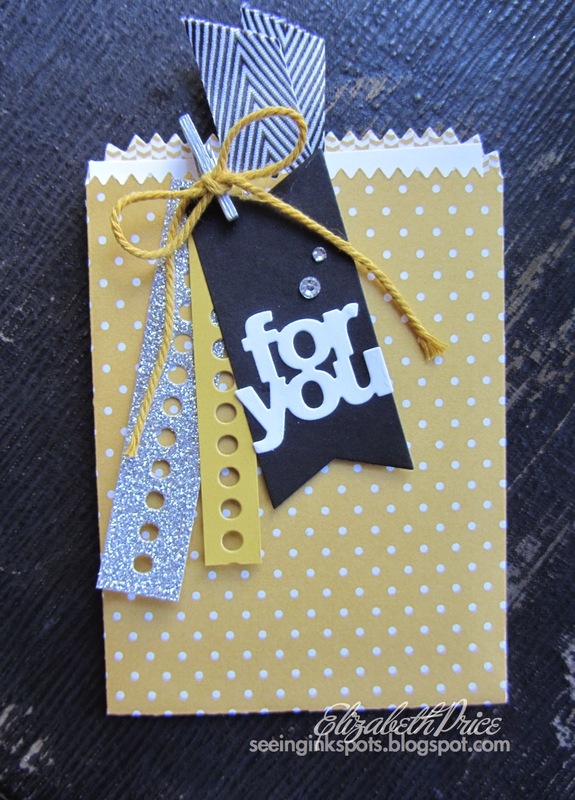 The piece of pattern paper is from the Sale-a-Bration pack Best Year Ever. The pack is chuck full of awesome prints. Every sheet is fresh and fun. When I first got my eyes on the Occasions Catalog the stamp set that jumped out and caught my attention was Balloon Bash. 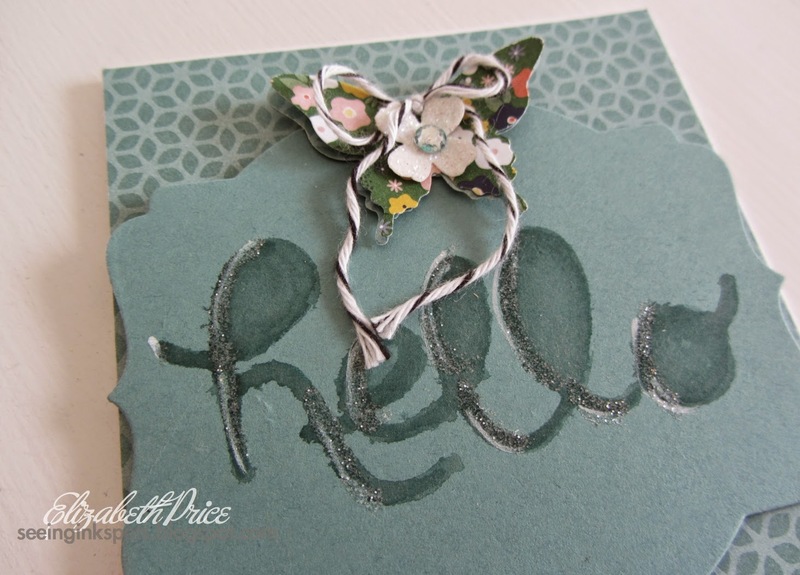 Well, after many weeks of wanting to play with the set I finally bought one (hostess dollars YEAH) and busted it out to create something for Hand Stamped Sentiments latest sketch challenge. This sketch is a cool one and I think it would be fun if y'all joined along. Now if you look close at my card and the sketch you will see I kind of blew it. I am missing the narrow strip the stretches across the bottom 1/4 of the card. Here is why, I most always do sketches from memory. I take a few seconds to study the layout and then I go to it. In this case I guess I didn't study well enough. 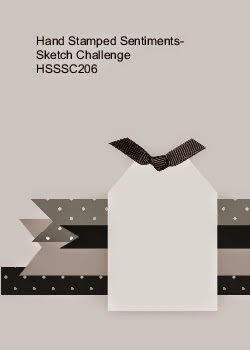 My point is sketch challenges are out there to inspire our creative juices and it's okay to vary slightly from the original. 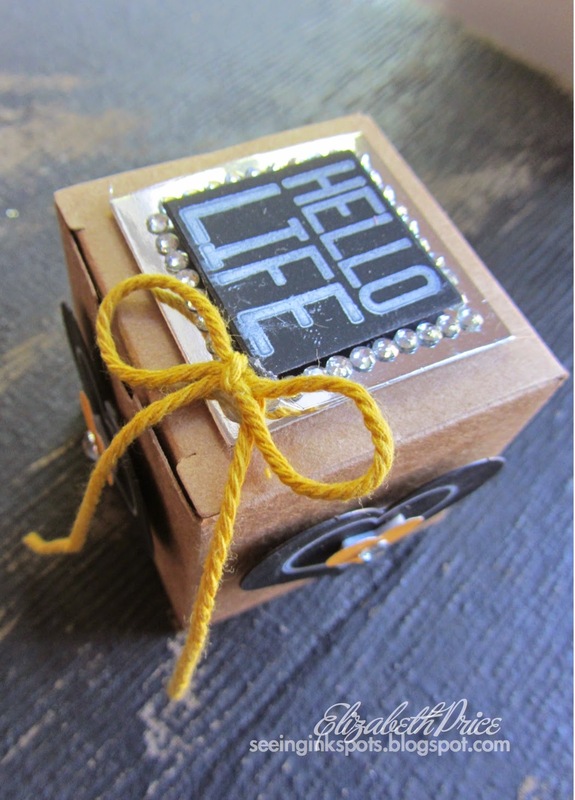 So a few weeks back I ordered the Hello Life Project Kit. I had a blast putting it together. When I was done I had lots of extra pieces that I put to good use. 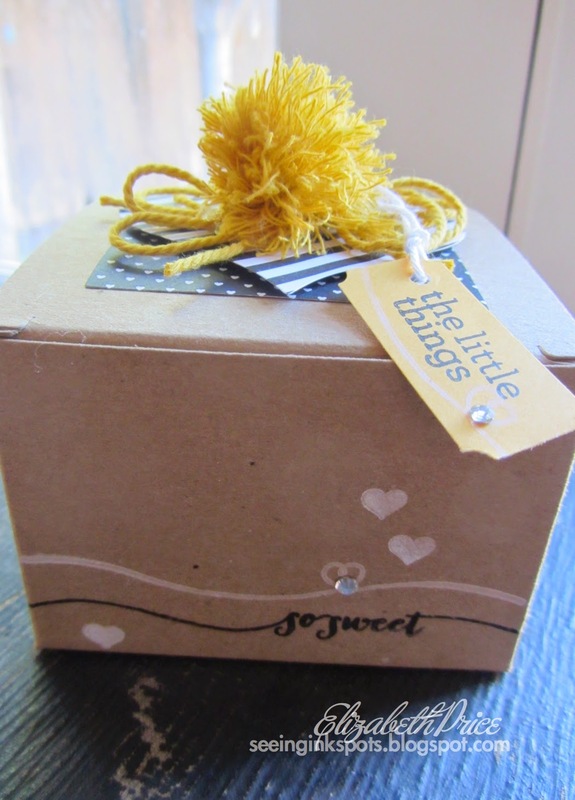 Check out my collection of things I made incorporating the leftover bits and pieces! When I was young my mom had funny answers to the question "what's for dinner?" 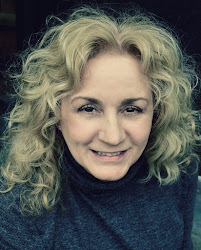 She would say things like "f and f" or "l and l." My brother and I would ask what those were and then she'd come back with crazy quip like answers such as "leftovers and like it" or "fix it and find out." Since then I have always liked leftovers. Her fix it and find out dishes were always rather tasty too. Here is another look at some watercolor wicking. 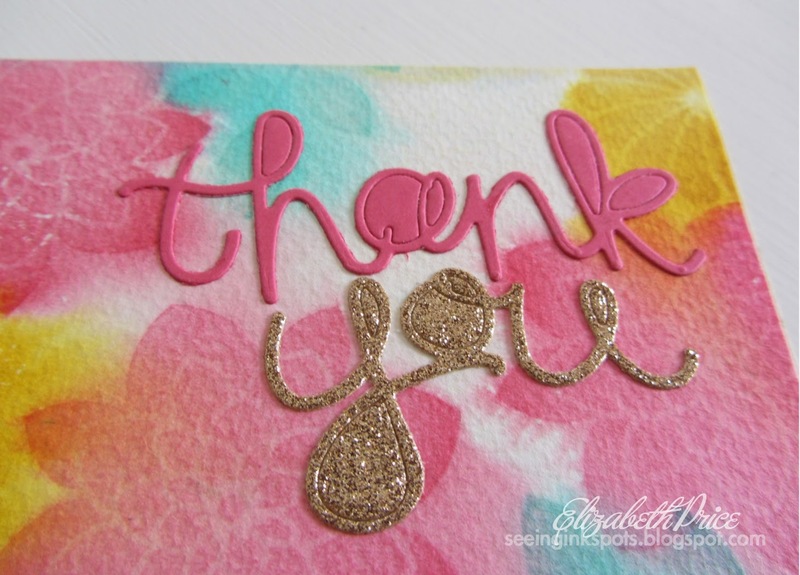 This card uses Watercolor Paper; a must for this technique. 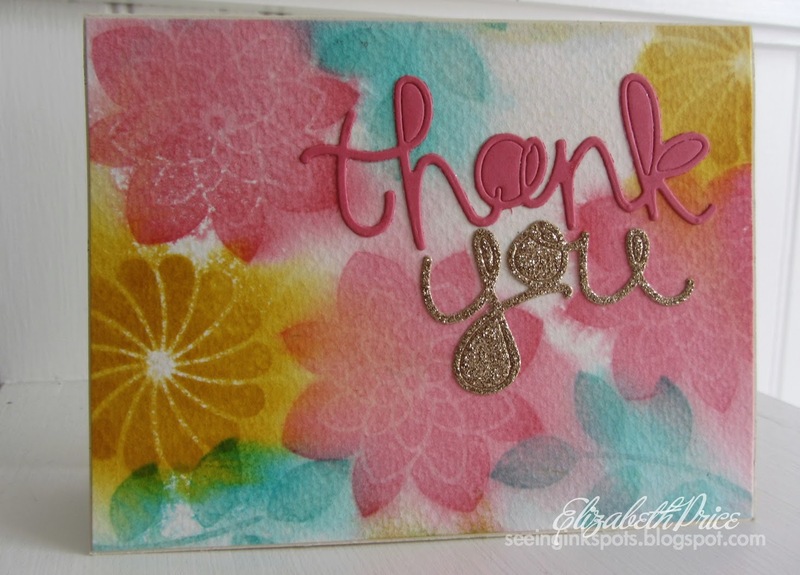 To create this look just stamp and then spritz with water and watch the ink start to run and wick into other colors. I work this technique in many ways. Just keep adding layers once the previous is dry to create tons of depth and dimension. If I have not liked how things were turning out I have rinsed the entire piece of watercolor paper in the sink. 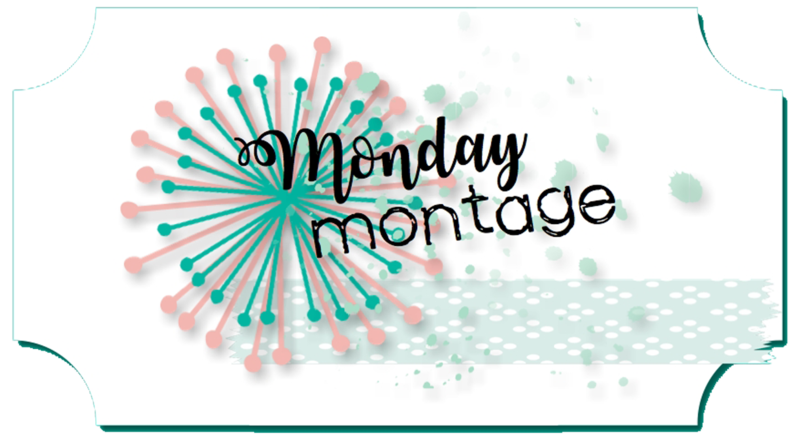 It still leaves a soft background which is perfect for layering more images. Try it you'll like it! 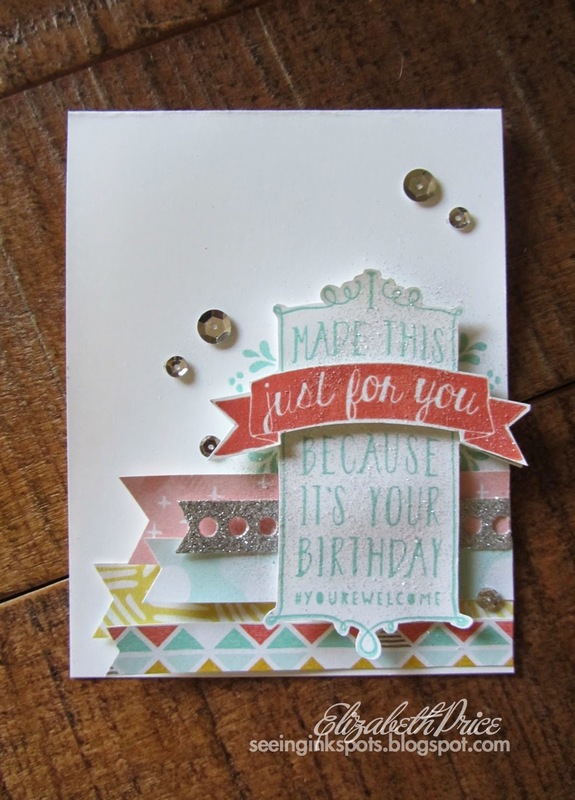 For this card I have stamped with the Crazy About You set using Strawberry Slush, Crushed Curry, and Coastal Cabana ink. The "thank you" is cut from the Hello You Framelits. Just cut the "s" off the thanks for creating a perfect looking "thank you." You can save 15% when you purchase both together as a bundle. 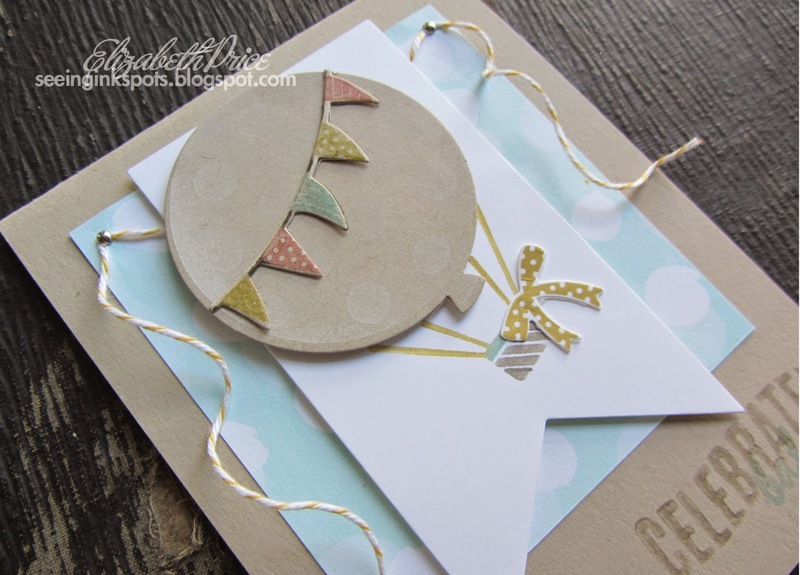 A splash of glimmer paper adds such panche to this simple layout. 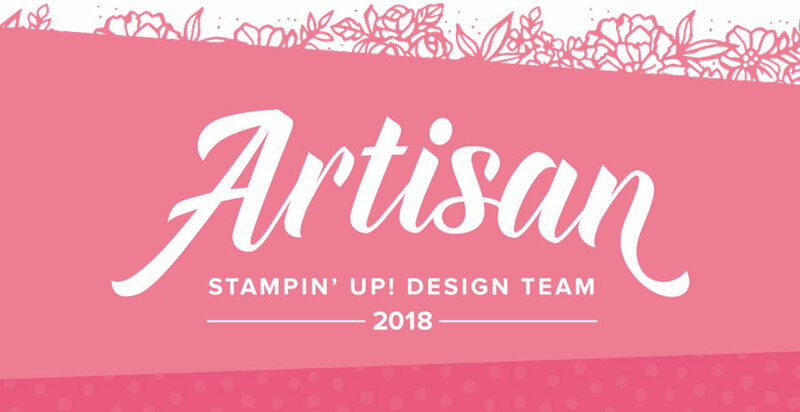 A while back I shared a "One Design, Two Times" post and I thought I would show another look at my double down way of working. For this duo I used the same technique, watercolor stenciling, and elements like a full panel of background paper, a card stock layer, and then an embellishment for each card. 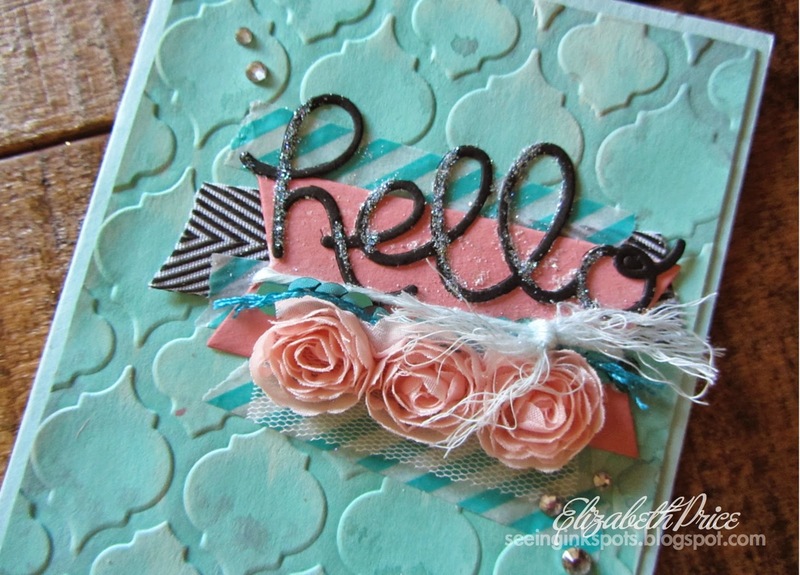 On each of the card stock layers I have added a hand painted greeting using the Hello You Framelits. 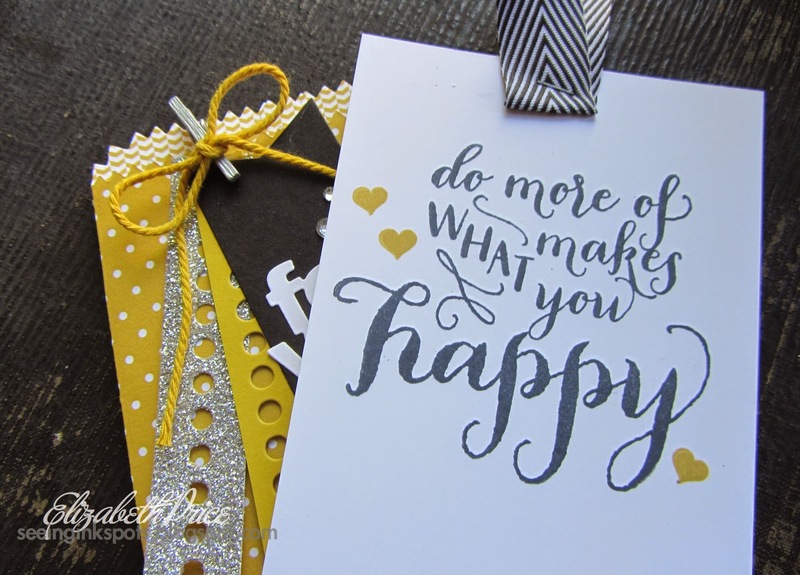 Now I have not cut the words, painted them, and then glued them in place, instead I cut the words from Vellum Card Stock and then used the vellum negative for a stencil. I applied Two-Way Glue to the stencil and let it dry completely so the adhesive would be temporary. Then I positioned my stencil on a piece of card stock and watercolored inside the cutout. Once the paint was dry I carefully pulled the stencil away. I added some White Signo Gel Pen, Dazzling Diamonds Glitter, and Project Life Pen details to highlight the words. 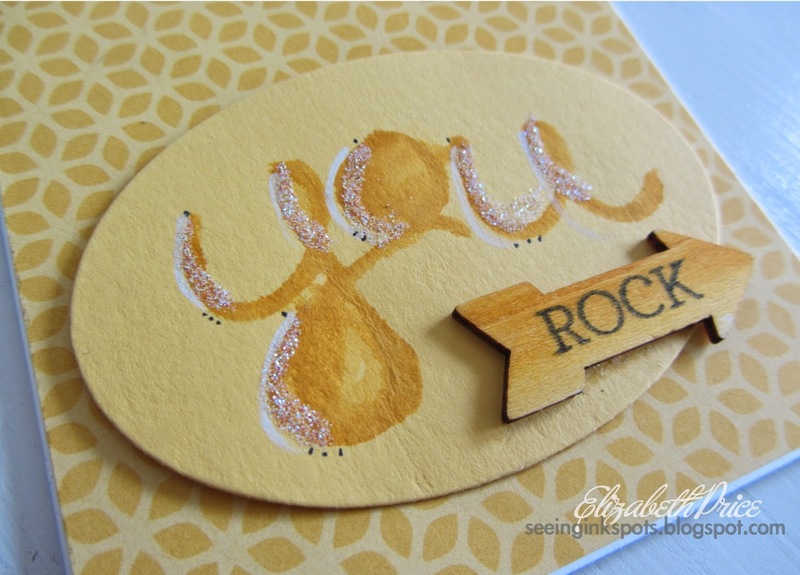 For the "you rock" card I even watercolored the Wooden Embellishment. I waited for it to be dry before stampiin' it. 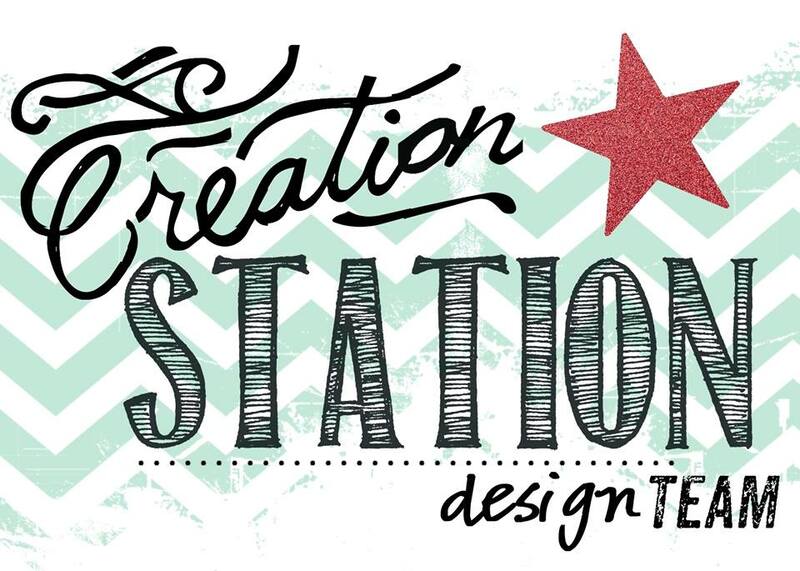 The cool thing about this stencil watercolor technique is that the stencils are reusable for several applications. 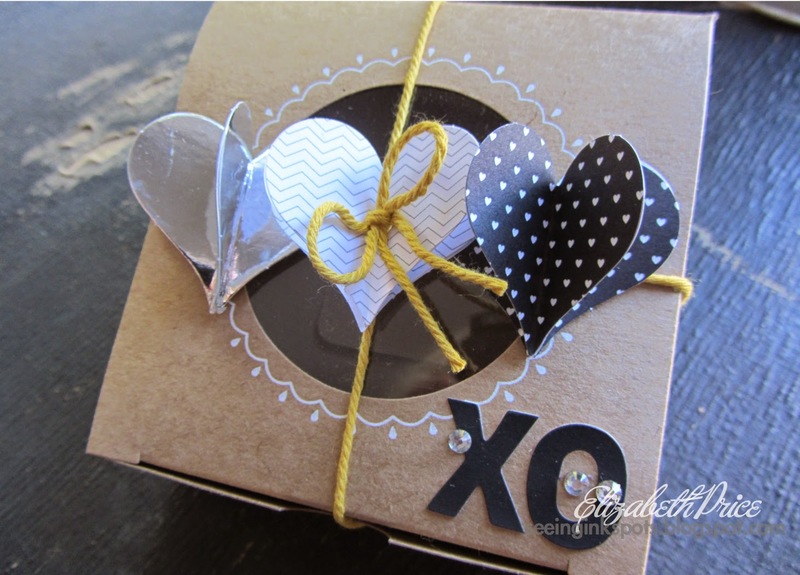 I will mention I tried this same technique with light-weight window sheets and it DID NOT work. I was hoping to create a more permanent stencil but, it was a failure. 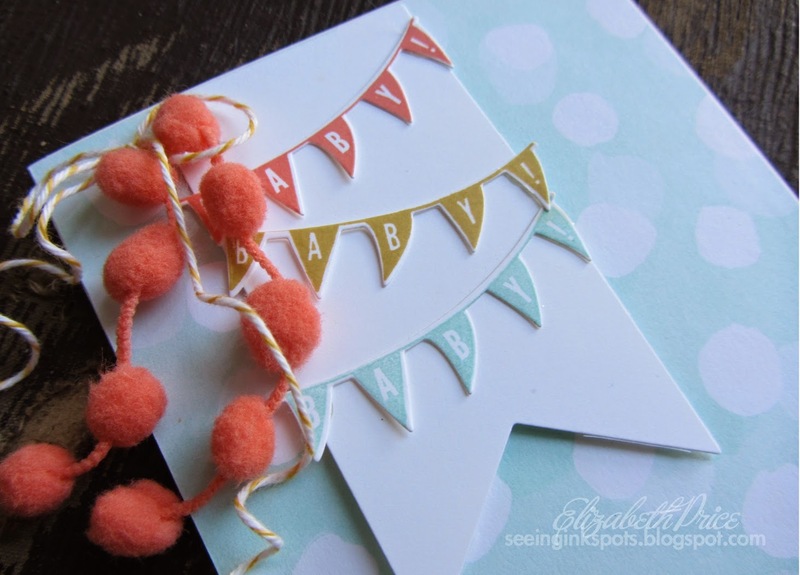 Even though the Two-Way Glue dried on the plastic it left behind a residue of stickiness on the card stock. And not just a little that you could rub off with an adhesive remover, but a lot. Enough to totally kill it (in a bad way). I have a total new infatuation! It's for the banner piece in the Balloon Framelits set. I could cut those out and add them to almost anything. 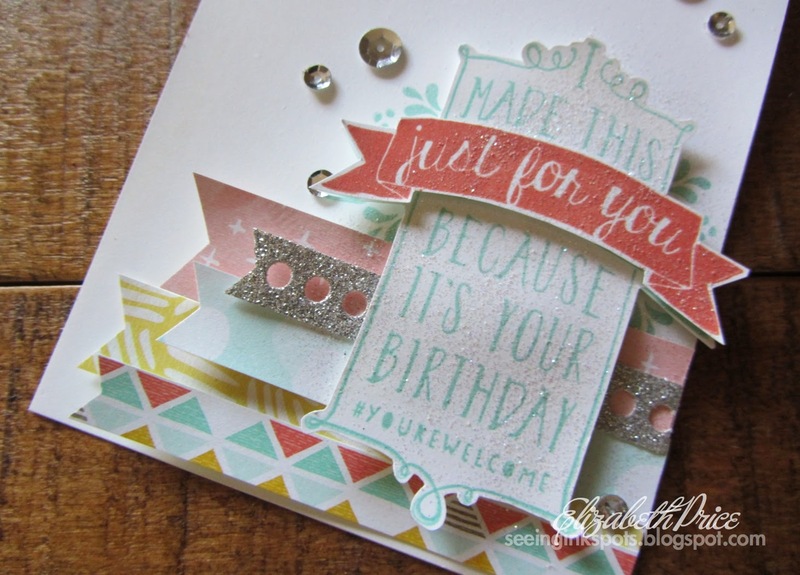 These framelits were created to perfectly coordinate with the Celebrate Today stamp set. 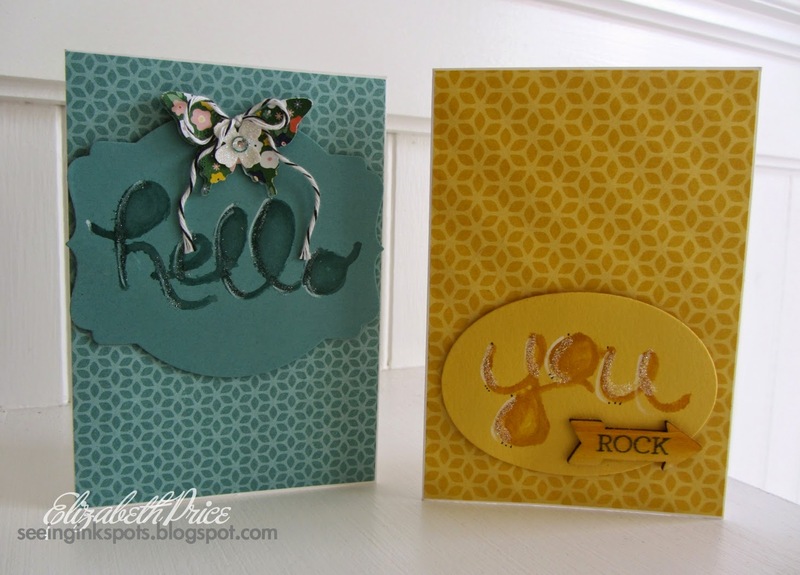 The two together are so fabulous--a pairing every stamper needs. 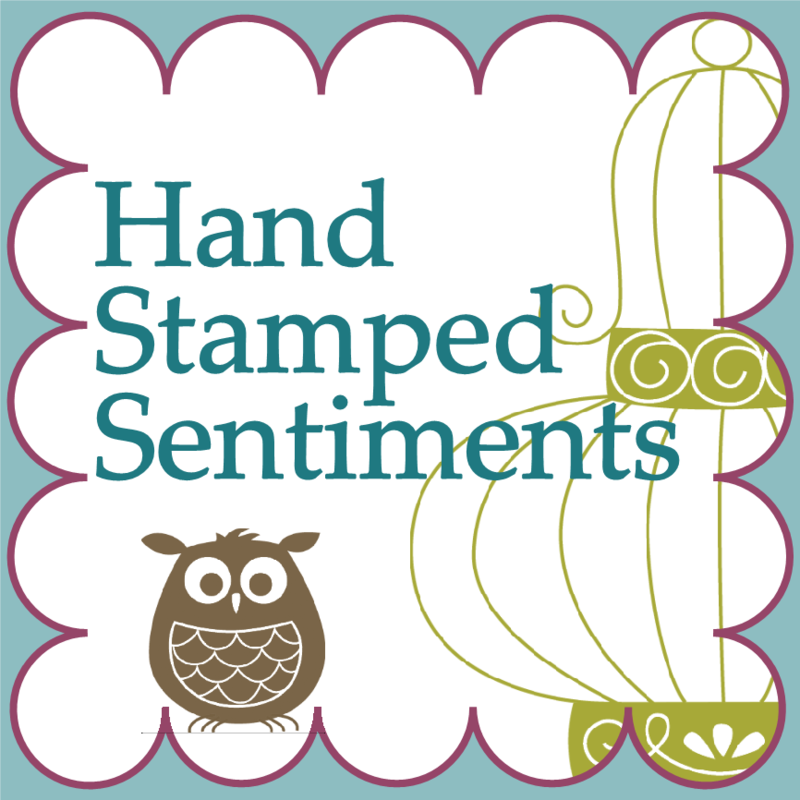 Join our color challenge at Hand Stamped Sentiments. It includes the hues from the Best Year Ever DSP. 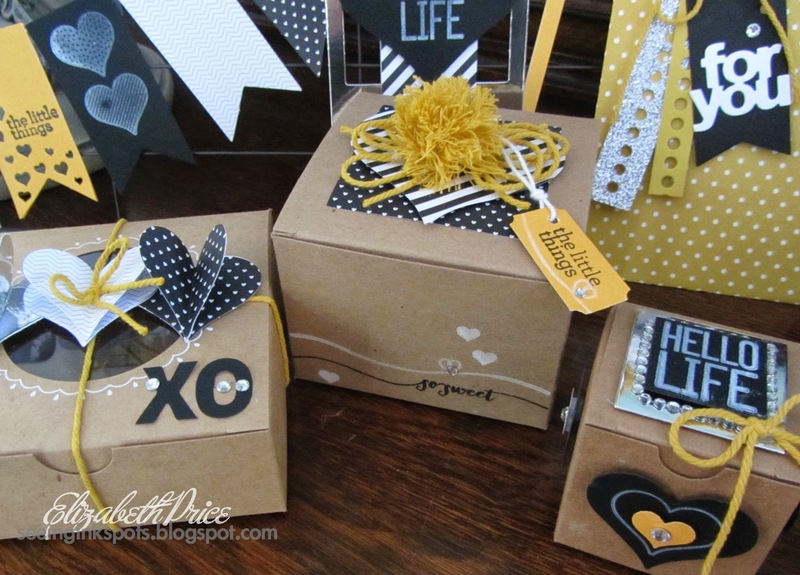 You love the paper so now show off your creations and add to ours. 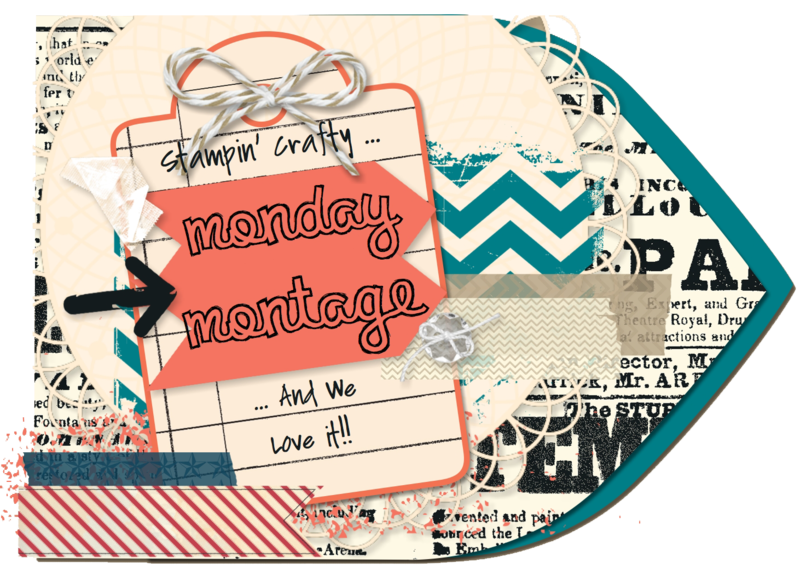 Hello stampin' friends and welcome to our Monday Montage Blog Hop. 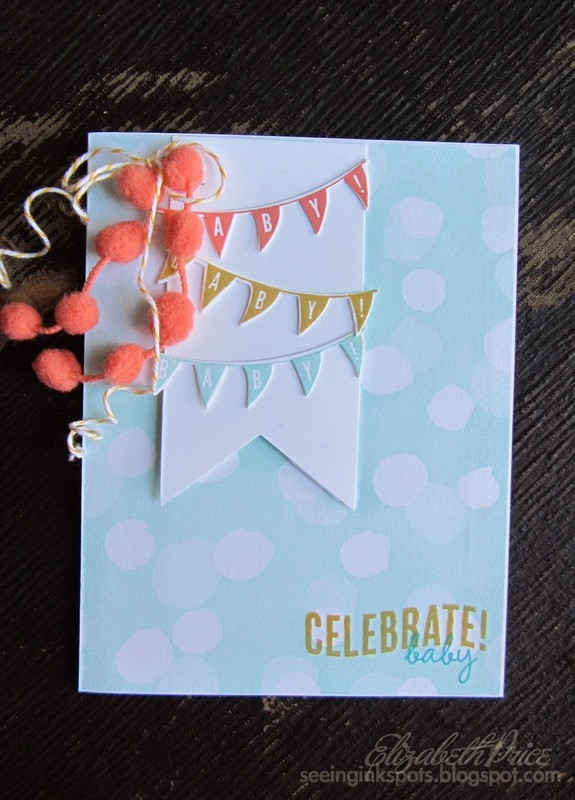 For our previous hop I showed you all a card I had made using a piece of "watercolored embossed" card stock. It's a simple technique and it's kind of like potato chips. You can't make just one, you have to make a bunch because it's so addicting. And that is just what I did. 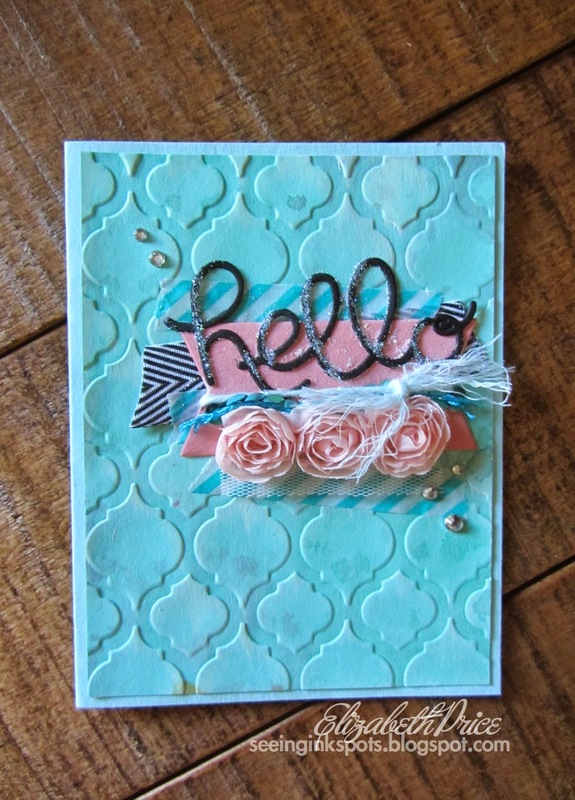 I made this card at the same time I made my card from the last hop which is why the elements are similar. But isn't it cute? I've got a touch of this and that incorporated into my focal point. 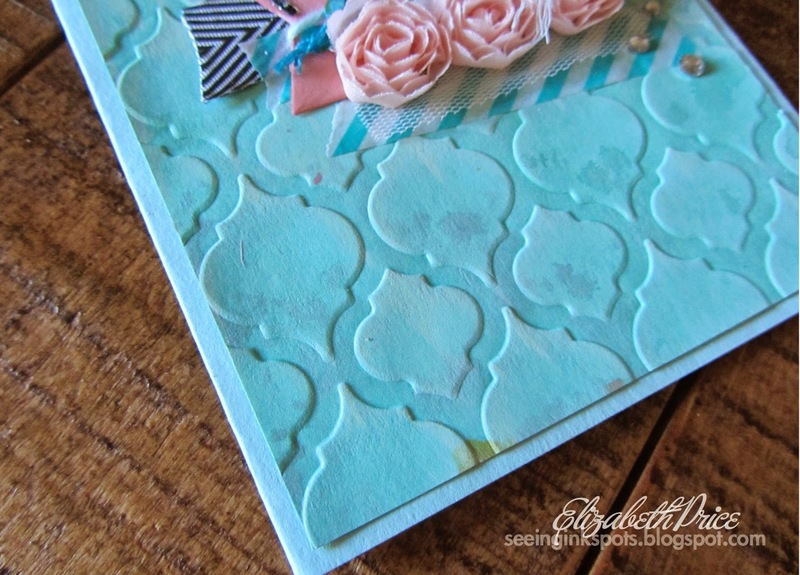 My favorite is the rose trim from the Artisan Embellishment Kit. Add it to anything and it's instant genius! 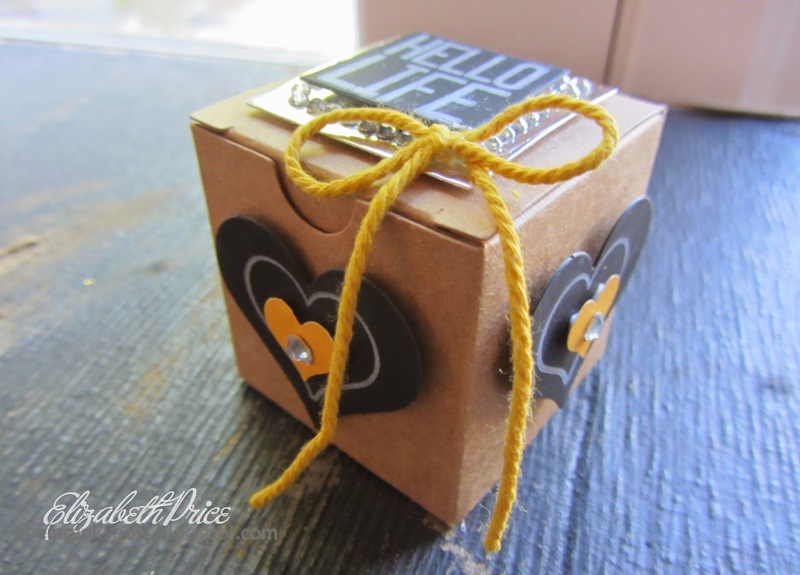 I added Dazzling Diamonds Glitter to the Hello Thinlets which in person is the perfect finishing touch.